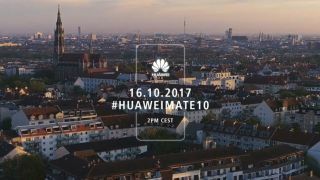 The Huawei Mate 10 launch takes place today at 8am ET, 1pm BST, 2pm CEST in Munich, Germany. We'll be reporting live from the event to bring you everything you need to know about the handset, and the Mate 10 Pro, so keep an eye on our in-depth Huawei Mate 10 round-up for all the details. Competition at the top of the mobile market is fierce, so will Huawei's new phablet flagships make the grade to enter our best phones list? If you fancy watching along with us to try and work it out, make sure you're back here at 8am ET (New York), 1pm BST (London), 2pm CEST (Munich) to see the video below.